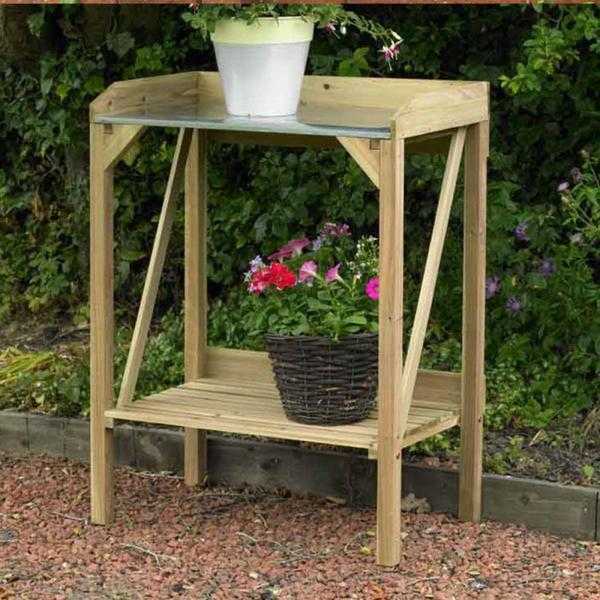 Hardwearing wooden potting table, provides extra space for potting plants. Made from pressure treated Chinese Fir Wood in a natural light colour. Simple assembly with step by step instructions included. Size H90 x W70 x D41cm ).